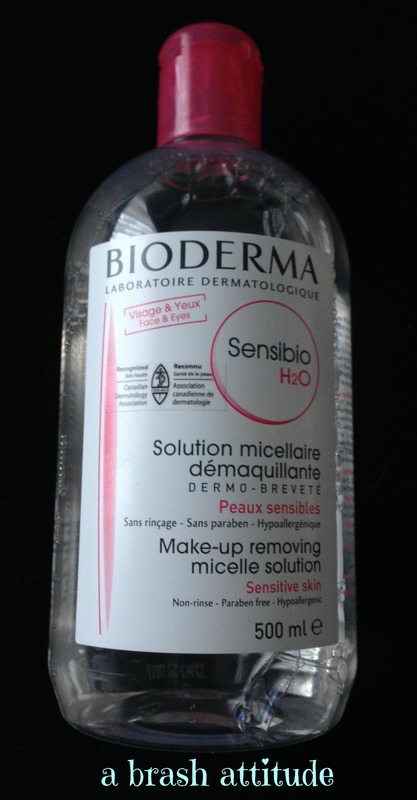 I decided to revisit my original blog post on Bioderma’s Sensibio Micellar Water because my opinion has changed somewhat. I found that it removed most of my make-up (bb cream, powder, blush, highlighter, eyebrow pencil, and eye makeup), BUT it barely made a dent in removal of my waterproof mascara, so I had to remove that using my usual method (grapeseed oil). So while it removed the makeup, my face did not really feel clean. Would I purchase it again? Maybe. It isn’t a holy grail item for me. But I would definitely recommend it for those who want a quick and easy method to remove makeup and clean your skin. I had set it aside and forgot about it until mid to late August, and started using it as an extra step in removing my make-up at night, starting by using the micellar water first all over my face, followed by grapeseed oil for my mascara, then my usual cleanser, serum and moisturizer. Used this way, my face feels super clean and ALL traces of make-up are gone. I have since finished the original bottle, and replaced purchased the larger sized bottle (500ml). Disclosure: I purchased this (AGAIN)! It is perfect for that – I hate feeling like my skin has been abused in order to get my face super clean! I was the same way! Not at all wowed by the product. Then I put it away and then came back to it and now love it!!! I am using it and simply love it!!! All it does with my waterproof mascara is make it smudgy.